Producing electricity using solar energy was a dream chasing scientists for a very long period of time. Just the thought of providing electricity to the globe using the power of the sun was a huge idea to put a great potential in. So, putting a clean source of energy into action was a big shift in the life of humanity. Solar panels are the magic devices that do that kind of job. It simply transfers the light into electricity. Those devices are also called photovoltaic which basically means “light-electricity”. A solar panel is known as a collection of solar cells where a very large number of solar cells can be put together to provide the wanted power. There are many factors that may have a huge effect on the amount of electricity to be produced from a solar panel, one of them is temperature. It may at first seems to be not true, but in our case, the more sunshine you get, the more the panels get hotter, the less powerful your panels are in producing electricity .Actually, in some areas, the efficiency of the panel can be reduced by 10% to 25% corresponding to the heat factor. Luckily, the effect of heat on panels is not equally. 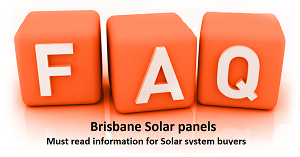 Some solar panels can cope well with the heat. A key to solving this issue is knowing the meaning of the word “Pmax” that is found in the manufacturer’s data sheet. “Pmax” is simply the heat coefficient. If Pmax is -0.48%, this means that each degree over 25 degree Celsius, the maximum power of the panel is reduced by 0.48%. So as it seems to be, temperature do really have a great impact on how the solar panels work. That means if the temperature reaches 45 degree Celsius, that probably means that the amount of electricity produced would be 10% lower to the normal temperature case, however on a sunny day when the temperature is below 25 degrees, the amount of energy produced will be probably higher than that maximum rated levels. It can be deduced that the solar panel temperature affects the maximum power output directly. As the temperature of the solar panel increases, the output current increases exponentially while the voltage output is reduced linearly. As it is known, power is equal to voltage times current. This simply means that the warmer the solar panel, the less power it can produce. The problem of the electricity loss can be kind of solved. If you could make it possible for the air to flow above and below the solar panels, that would possibly keep them cool and be a good solution of the heat problem.